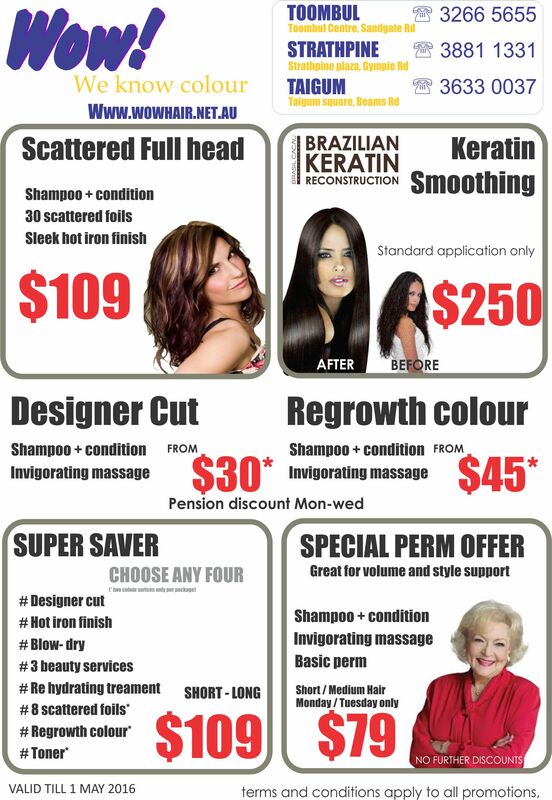 Our North Brisbane hairdressing salons located at Toombul, Taigum and Strathpine are featuring some amazing hair specials this month with something for all ages. 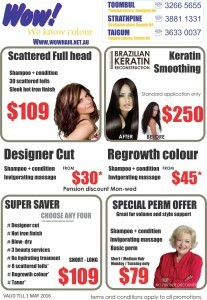 If you cannot see the attached brochure here is the run down for your convinience. This voucher and it’s promotions are valid only until 1st May 2016. 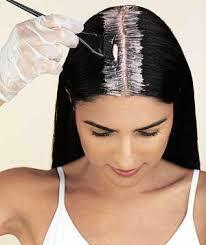 If you have any questions or queries please email us or contact the salon of choice by phone. 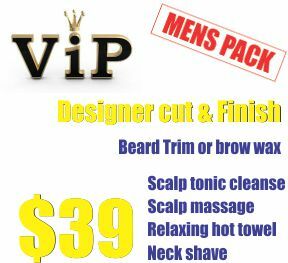 Just thought we would take the time to remind all our gents out there about our Special VIP Men’s pack. 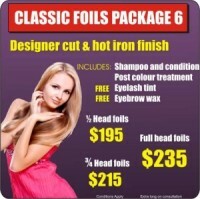 Be pampered by our amazing team of talented stylists in one of our three hairdressing salons at Toombul, Taigum and Strathpine. Our amazing value $109 Super saver is still available for short to long hair. This offer allows you to tailor make your very own package by selecting the four services you need for the one set price. 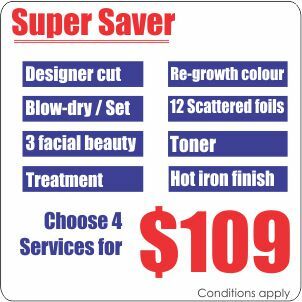 Come in and see one of our hairdressers today at our Toombul, Taigum or Strathpine salons for an obligation free consultation and quote. Why not come see Brooke at Wow! Taigum! 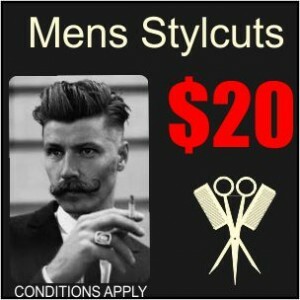 For short time only, We are offering $20 men’s wash and style cut with our newest hairdresser Brooke. 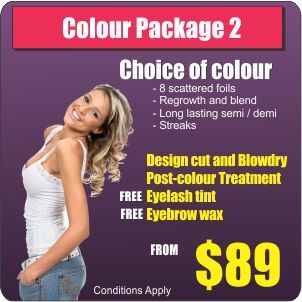 This promotion is only available in our Taigum location and for a limited time only. Some styles not included, Styles with Brooke only, only available while the sign is promotion is on display in the salon, Not available in conjunction with any other discount or promotion. 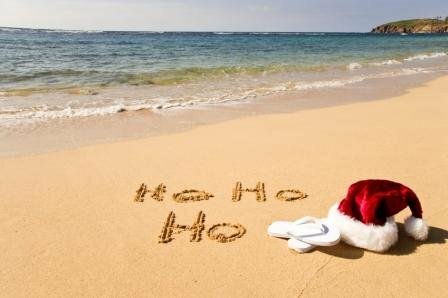 We are offering free 4-6 week regrowth application or 6 free foils with any full priced Designer cut and Blow-dry until 6 January 2016 to celebrate the new year.Booking essential Mention this promo when booking. 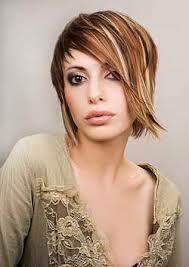 Our hairdressing salons are offer a new client offer on our amazing Original colour packages. 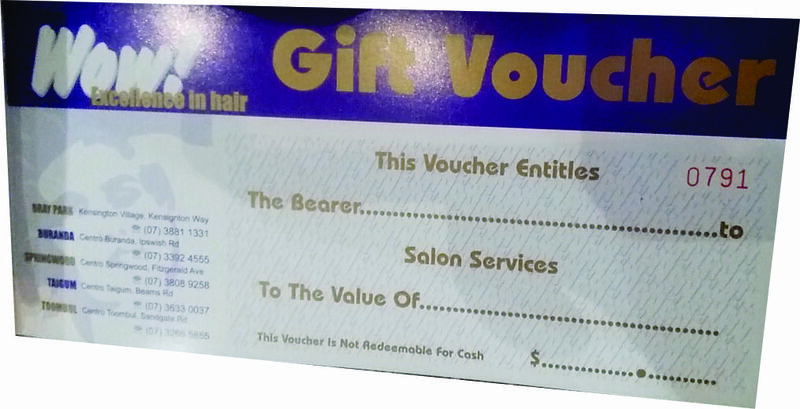 These start from $89 for short hair and as a special Christmas offer we are offering a bonus gift voucher to the value of $20 to be used on any other extra services in our Taigum, Toombul or Strathpine hair salons. 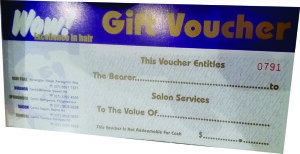 You can use this voucher yourself or give it to your friend, it’s completely up to you.